Irish property developer Ballymore has been on something of a a roll in the past number of months. 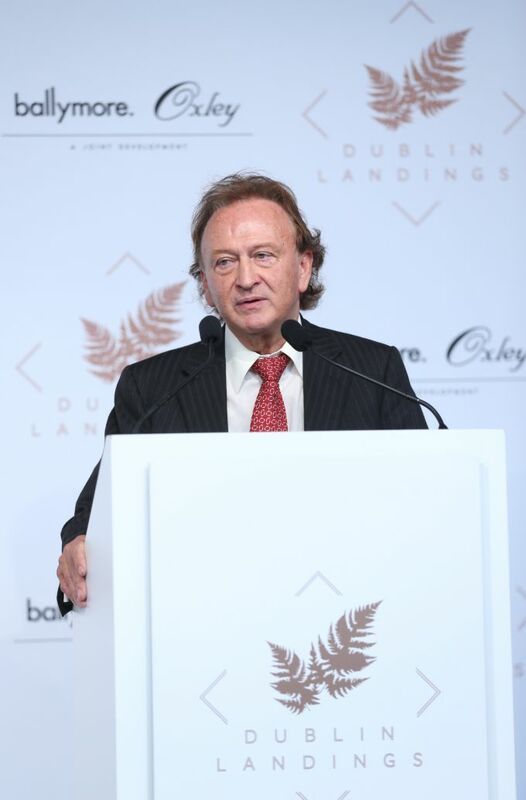 Last October, the company unveiled its plans for Dublin Landings, a €700 million mixed-use development in the north docklands area of the capital. It will be developed in partnership with Singapore’s Oxley Docklands Quay Ltd.
Just before Christmas, Ballymore’s founder Sean Mulryan proudly told staff that the company had exited Nama, having repaid some €3.2 billion in gross debt to the State agency since 2010. It was an achievement worth noting. On Monday, the company was shortlisted by the respected UK publication Property Week in two categories at its annual industry awards. It’s like the Oscars for the property industry in the UK. Ballymore is one of 11 groups shortlisted for the Developer of the Year gong. The competition includes the Battersea Power Station Development Company, British Land and Watkins Jones Group. It is also in the mix for the intriguingly titled Placemaking Award for its work on London City Island, a new neighbourhood in Canary Wharf. One of its rivals for that award is U+I, the UK property group with significant commercial interests in Dublin. The winners will be announced at a bash in Grosvenor House in London on April 4th. Mulryan might want to get his dress suit pressed and clear his diary for the next day.